Home Automation technology keeps evolving and delivering great solutions to our fascination. 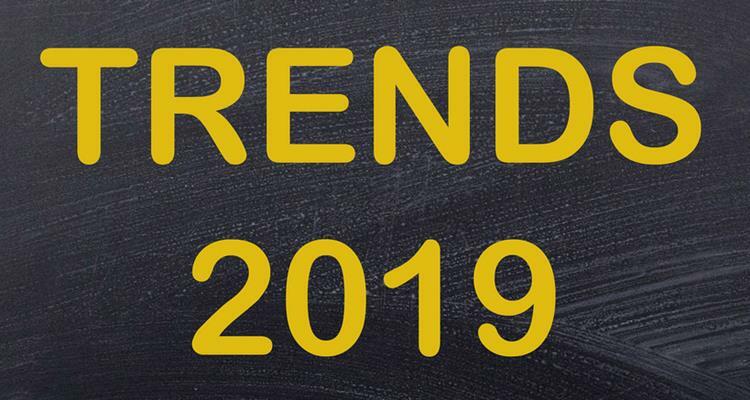 From smart toilets to robot ovens, 2019 already comes with fantastic new trends. Every year, after the holidays have passed and everything is back to normal, Home Automation technology starts preparing new products and the Consumer Electronics Show (CES) is the first chance for the world to see what’s new on Home Automation technology. The last few years have been great for Amazon’s Alexa who has been everywhere. The list of smart home developers and manufacturers that include Alexa as a voice control feature, keeps expanding. Amazon’s Alexa has already announced over 100 products at the 2019’s CES including new features for voice control in smart home devices and cars. Alexa has proven to be a real help for people everywhere they go and they are already working their support for the next generation in voice control technology, meaning more products and companies include Alexa in their devices. Google Assistant is also getting ready to start delivering cutting-edge voice control solutions this 2019. In fact, Google’s voice assistant is so popular that even smart showers are compatible with it and they have a projection to be installed in over a billion devices in the near future. This aspect of home automation technology has been expanding very fast, to a point where even though security video cameras are still used, they’re becoming obsolete. New technologies, like video doorbells, are becoming more popular and are slowly taking over the market. Many security companies are planning on releasing smart devices of their own. Right now the market is ruled by Nest and Ring but they will have to compete with these companies. This is good because customers will have several options ranging in cost, design and connectivity. There are relatively new brands making major breakthroughs in the industry, a good example is Wink. This company has released a smart security system that can recognise each family member thanks to facial recognition technology. It’s called Tuya Smart and it&apos;s a great alternative to Ring or Nest’s video doorbells. Wink is stepping up to the challenge and has been working in making facial recognition technology more accessible and useful to all smart homeowners. This is only the beginning as they are planning on developing solutions to help customers to create their smart homes or their smart businesses. For smart homes, they have created a platform called Smart Home 2.0 which is a home security hub including up to ten smart security products. This is a security solution that clearly surpasses the classical single-camera. This type of technology recognises all family members and when it detects that everyone is inside the house, it locks all doors and windows. It will also notify you if something’s not properly locked. This is the type of smart house we’ve only seen in movies. When you thought you’d seen it all in smart home appliances, the industry comes in the shape of embedded screens. Like Lg’s InstaView fridge, that comes with voice control capabilities, a see-through glass door and a computer screen, or maybe GE’s Kitchen Hub which also comes with a screen above the stove. GE’s kitchen hub is more than just a smart home appliance, this device goes beyond helping you with all cooking tasks, it can control smart heating and lighting systems plus it also works as a fully capable entertainment station. Other trends coming this year include partnerships between cooking apps and smart home appliances manufacturers. This will surely is good news to those who love using cooking apps. Lenovo who is another giant in technology showed the Lenovo 10” Smart Display, the best smart screen that you can integrate into your kitchen. It can help you make shopping lists, stream cooking videos or recipes and set timers. The best way to turn your cooking into smart cooking. It also connects to control any smart device that works with Google Assistant which makes it the best smart kitchen solution so far. They may not be as human as Asimov’s robots, but they sure make house duties a lot easier. In fact, these robots can be defined as machinery that can perform complex actions on their own, but they sure don’t look like the ones Asimov thought. This means that voice control assistants such as Alexa and Google Assistant work similar to that definition of a robot. Like Suvie, a kitchen robot with multi-zone cooking and refrigeration. This device can cook an entire three-course meal all at the same time. It has wifi so you can look up gourmet recipes and Suvie will have them ready for you. By far the best invention that a former Apple engineer, a gourmet chef and an appliance expert ever made. Home Automation technology is reaching areas that have never been reached before, like with the beauty industry and babies. Baby tech is expected to be under the spotlight in 2019. Next generation baby monitors and devices that can help you track how well your baby breathes while sleeping will be released this year. Smart technology is reaching baby monitors, breasts pump, fertility trackers and many more. Brands like L’Oreal and Olay are making their contribution to the smart tech market with new skincare technology that can provide accurate info about how healthy your skin is, show how makeup looks on you before you actually put it on and other useful solutions. 2019 is going to be a great year for Smart Technology and Home Automation technology. Leading brands will continue producing great solutions to make our lives easier and new brands will continue appearing to raise the bar to all existing smart home manufacturers. Stay tuned because there’s more smart home surprises coming.